As King Robert the Bruce of Scotland plots to retake his English occupied castles, he needs the stealth and skill of his elite soldiers, the Highland Guard. 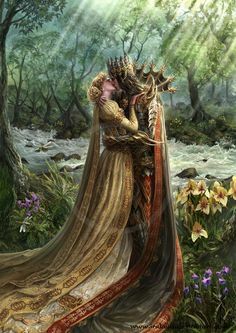 Fearless and indomitable, no men are more loyal to their king, or cherished by the women they love. The talents of legendary marksman Gregor “Arrow” MacGregor are crucial now, as Bruce moves to reclaim his Scottish holdings. Gregor is considered the most handsome man in Scotland, and his fame as an archer is rivaled only by his reputation with the lasses as a heartbreaker. But when his infamous face is exposed during a covert mission, Gregor is forced to lay low. He returns home only to find a new battle waiting: a daring game of seduction involving his now very grown up and very desirable ward, Cate of Lochmaben. A born fighter, Cate was clinging to life when Gregor rescued her after a vicious English raid on her village left her mother dead. But five years later, the once scrappy orphan Gregor took under his protection has become a woman. Brave, strong, and skilled in warfare, Cate is determined to lay claim to the warrior who refuses to be trapped. The heat in his eyes tells her she has his attention . . . and his desire. But will Gregor allow his heart to surrender before danger finds them, and the truth of Cate’s identity is revealed? Gregor “The Arrow” is considered the best marksman, and after seven years of fighting with and for Bruce…he is dedicated all the way. But when he is almost spotted and his position is compromised, Bruce sends him to his home to lay low for a while, and to deal with his ward. Cate has been in love with Gregor for years. She knows him inside and out, and she knows she can show him. She was rescued after her village was raided and her mother was killed. Cate has worked hard to learn to fight and defend herself. But she is also willing to fight for Gregor. Even though he is known the “Most Handsome Man in Scotland”, she sees beneath the gorgeous exterior, to a man that deserves to be loved for who he really is and not another notch on a bed post. As Cate starts her seduction of Gregor, there is secrets that they both hide from each other…secrets that could tear them apart unless their learn to trust in the love they share…but will Gregor’s enemies gain the upper hand and destroy everything? The Arrow is the 9th book in this astounding series by Monica McCarty. I just want to say that this story was such fun!!! My goodness…did I have such a good time with this story. The story begins with seeing some of the team together on a secret mission, when Gregor makes a mistake, and he is compromise and has to go into hiding for some time to protect himself and the guard and his family. Gregor has devoted everything to Bruce, a man who has a dream and the willingness to fight for it. Gregor will do anything his King commands…even if it means going back home to deal with a young woman he would rather avoid. When he arrives home he finds that his young ward, is a young woman, with a gentle beauty and fierce passions. He is captivated, and for a man who is always being chase for the wrong reasons, we see a woman chase him for the right reasons. Cate has such a deep devotion and love to Gregor, even if he treats her not worthy at times. I love how she continually has faith in him and never gives up. She is tenacious and strong and I loved how she is willing to do anything to win him. There are some shocks and surprises and some that really shook me they shocked me so much, and I never saw them coming at all!! I love how this author has a way to write a story with such telling results. There was so much that I enjoyed about this one. Not my favorite, but definitely up there in top favorites of the series. We see more of Bruce in the story…for a good reason. We also see quite a bit of Erik “The Hawk” who is hilarious and adds a certain dramatic flair to the story, and boy what humor!! I LOVED it. Overall a fun and adventurous romance, set in the historical Scotland, where you see a fight for freedom, a powerful love, and quite a bit of conflict to have you on the edge of your seat!! 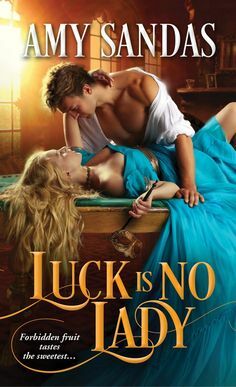 I love how this author compound a mixture of passion, history, and great wit to create a tale to captivate your senses!! TO DIE FOR! !